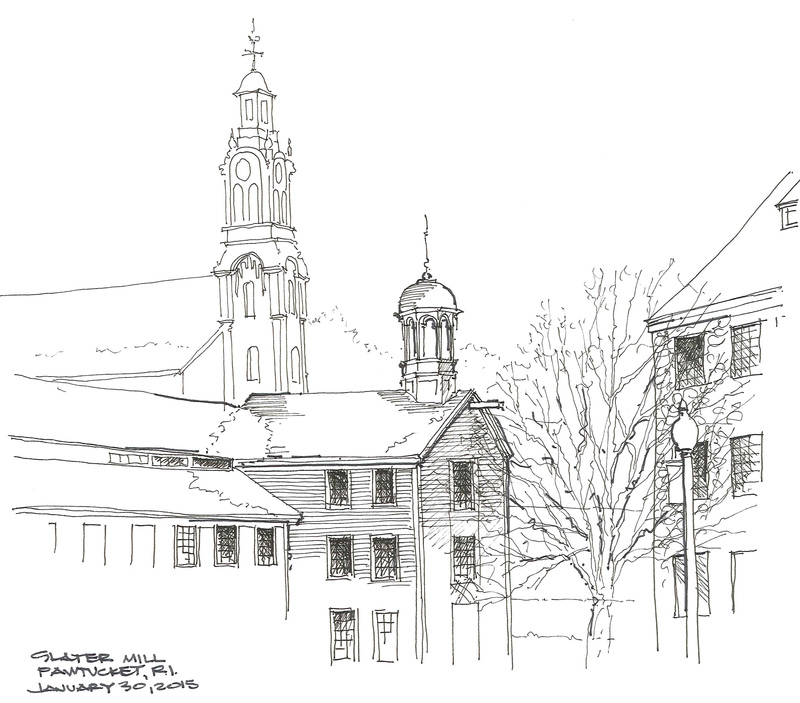 The Slater Mill is an historic textile mill complex on the banks of the Blackstone River in Pawtucket, Rhode Island. Modeled after cotton spinning mills first established in England, the Slater Mill is the first water-powered cotton spinning mill in North America to utilize the Arkwright system of cotton spinning as developed by Richard Arkwright. It was designated a National Historic Landmark in 1966. Lunchtime Pen and Ink sketch using Micron pens in a Stillman and Birn Alpha Series Sketchbook.